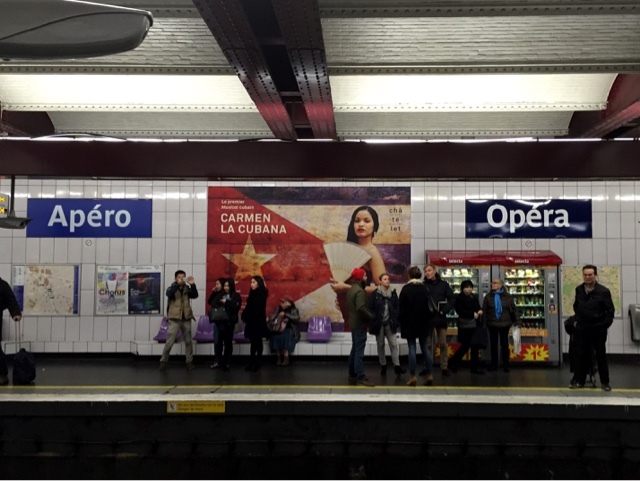 My Love for Paris: Paris RATP Metro Pranks Commuters on April Fool's Day..!! 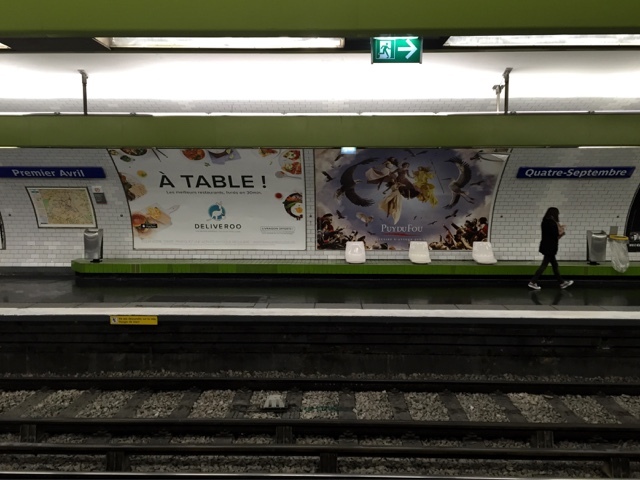 The French RATP group of the Paris Metro System got in on April Fool's Day (known as "Poisson d'avril" in France) with metro name change pranks that caught commuters by surprise. 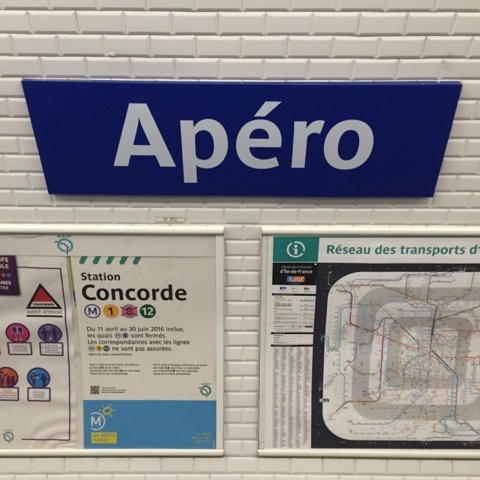 About 13 metro stations were replaced with new names, drawing on hilarious play on words aka "les blagues de papa" (Dad jokes) as I like to call them. 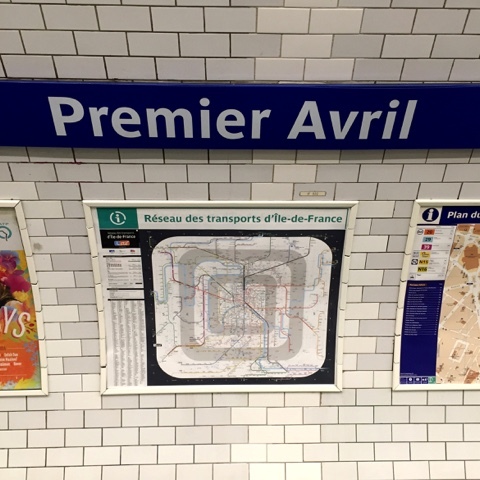 First up was the station "PREMIER AVRIL" (1st of APRIL) which replaced the station "QUATRE SEPTEMBER" (4th of SEPTEMBER). This metro station was originally named "the 4th of September" to commemorate the date of which the third French Republic was declared. Today, it would commemorate the RATP's April Fool's Day prank instead! The busy OPERA station (home to Opera Garnier) morphed to APÉRO - which translates to a French tradition I suppose which is similiar to our happy hour..? The French love their apéros (apéritif), an occasion where people gather before dinner for light drinks, beer, champagne etc with little nibbles and snacks. Sometimes it can start around 6pm or 7pm, sometimes you get so full that it actually becomes dinner..! (well for me at least because I'm so used to eating dinner at, 7pm). And here's one of the best French Dad/French Grandpa jokes! 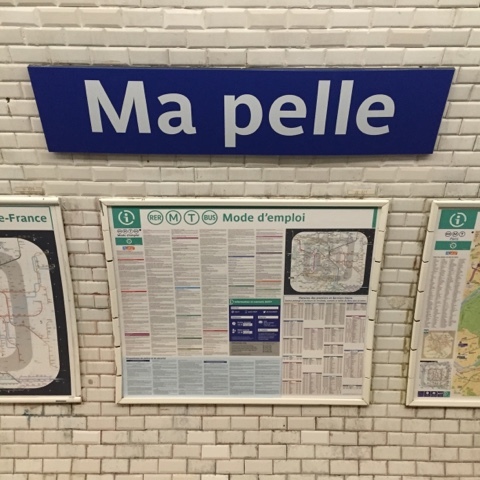 The metro station MONCEAU which is next to the Parc Monceau changed its name to "MA PELLE". "Monceau" sounds like "mon seau" in French, i.e. "my bucket". "Ma pelle" is the direct translation of "my spade". Other name changes were: the station Pyrénées on line 11 became "ALPES"
The station Alexandre Dumas, France's beloved author on line 2 became "LES TROIS MOUSQUETAIRES", i.e. "The Three Musketeers"! Back on line 11 again, the metro station "Télégraphe" modernised itself to be called "#TWEET" instead. On line 6, the station "Saint Jacques" became "COQUILLE" as "Coquille Saint Jacques" is what you call a scallop in French. The "PARMENTIER" station on line 11, named after vocal potato as a food source in France and Europe promoter Antoine-Augustin Parmentier, was transformed to "POMME DE TERRE" i.e. "potato". You might have also heard of the dish "hachis parmentier" seen on French menus which is like a Shepherd's Pie - made of mashed baked potatoes and diced meat. And lastly, the station "Anvers" the one you get off to get to Sacre Coeur was flipped upside down. Reason being, the word "Anvers" (which is the French word for the Belgian city Antwerp) is a homophone to the word "envers" which means "inverse/reverse". Check out this clip where the RATP staff prepare for their 2016 April Fool's Day prank!